I was lucky enough to have a ticket for the screening at the British Film Institute on Saturday 12 January of the first ever Doctor Who story ‘An Unearthly Child’. To celebrate Doctor Who’s 50th anniversary year, the BFI, with the support of the BBC, are running monthly events up to the official anniversary on 23rd November. So we have eleven months to celebrate eleven Doctors. 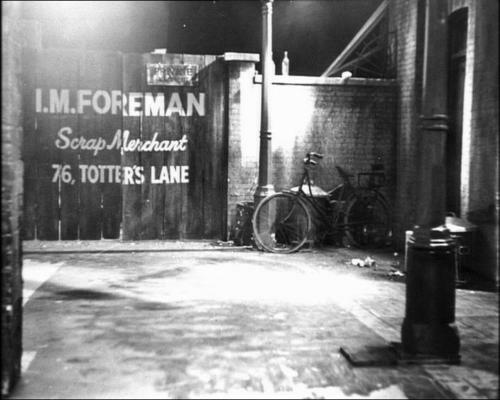 The first story is a four parter called An Unearthly Child, the name of the very first episode broadcast on 23 November 1963 in which two London school teachers fret about the strange behaviour of student Susan Foreman, who seems to have an advanced knowledge of science, has forgotten that in 1963 decimalization hasn’t happened yet and refuses to allow them to meet her mysterious Grandfather, with whom she lives in, apparently, a junkyard. Obviously as a Who fan for 40 years, I have seen this story before. My recollection was of a stunning first episode but – once the Doctor has kidnapped the teachers back to Stone Age earth – all I recalled subsequently was three episodes of blurry black and white stone-age grunting. That is how fan wisdom has it: a great first episode followed by three weeks of boredom until the Daleks turn up to save the show at Christmas. So when this screening was announced I eagerly signed up but, to be perfectly honest, mainly to see the first episode and the panel afterwards. After all, I could always have a snooze during the next three episodes as the BFI seats really are remarkably comfortable. How wrong I was…. After the audience of around 450 were settled, the surviving cast and crew were seated and then it really struck me for the first time: we would be watching a historic 50 year old show along with the people who actually made it. This was going to be something special as the introduction by current Executive Producer, Caroline Skinner, and Who/Sherlock writer and actor Mark Gatiss amplified. The latter confirmed that he would be finishing the script that very evening for the BBC2 docu-drama about the making of the first story. My other reservation about the event was how well a black and white 60s TV broadcast would transfer to a cinema screen, but it looked gorgeous. OK, so elsewhere in London audiences were enjoying The Hobbit, shot in ultra-HD 3D 48 frames per second, but I doubt that the experience was as immersive as these four episodes. I think this has much to do with the performances, the atmosphere in the auditorium and the brilliant direction by Waris Hussein, who overcame the restrictions of shooting near-live on tiny sets with effective use of intense close-up and great composition. I heard a fairly recent interview with him where he claimed not to have seen the story since broadcast. However afterwards in the panel session he seemed genuinely relieved, almost emotional, at how good it was. The first episode is gripping, no surprises there, but I was stunned at how much better the other three episodes were than I remember. Perhaps it was the shared experience, the uniqueness of the situation – again the thrill of watching with the people who made it, on a large screen and with 450 other fans – but I do think it was more than that. The simplicity of the story – a tribe of cold and hungry cave people capture the TARDIS crew and force them to make fire – may seem lightweight in this era of timey-wimey Rubik’s cube storytelling. Indeed, the whole story would probably make up a pre-credits teaser in modern Who. However the Doctor Who that we know and love is all there. Initially the Doctor is clearly an anti-hero, a galactic kidnapper, with teacher Ian Chesterton the lead ‘heroic’ character. However by episode four we have come to be intrigued by, if not love, the Doctor. So when in part 4 ‘The Firemaker’, Ian is asked who the leader of their ‘tribe’ is, he indicates the Doctor, establishing the power structure of the show for the next 50 years. Two scenes in particular are classic ‘Doctor’. When Ian refers to him as Doctor Foreman, “Doctor Who?” comes the reply, a theme that is being re-visited and investigated in this anniversary year by Steven Moffat. Meanwhile the Doctor’s climactic performance before the whole tribe establishes the heart of the character. 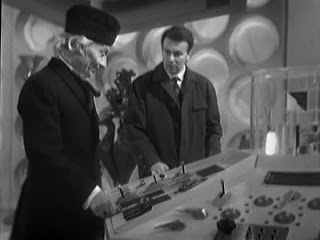 He tricks Kal, the first ever Doctor Who villain, into revealing himself as a murderer. Hartnell is at his best here – winning with words rather than weapons, as he and his successors will do so many times over the next five decades. Really, I have to say that far from dozing off after the first episode, I was captivated by all four, and at the end, as the TARDIS crew stare out at what we will soon learn is Skaro, home planet of the Daleks, I would happily have stayed there all night, watching more. However the event was about so much more than that. Now we got to hear from the history-makers themselves. The BFI have confirmed that the panel sessions will be available to watch on their website, so regard the following as teasers, rather than ‘spoilers.’ Anyway I was enjoying it too much to even think of making notes. Between episodes 2 and 3 there was a short chat with Clive Doig (vision mixer) and Brian Hodgson from the Radiophonic Workshop, in which the latter revealed he never actually got to meet William Hartnell: the Workshop was kept in Maida Vale exile, lest their wacky ideas infect the rest of the BBC. Top of the bill was a panel with an impressive array of those involved in the story and the Hartnell era. William Russell (Ian Chesterton) reaffirmed the high standards that Hartnell set as leader of the cast. 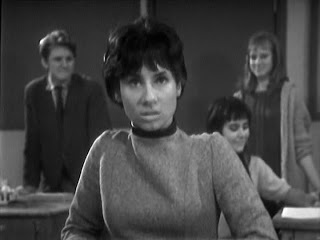 The Unearthly Child herself, Carole Ann Ford, lamented that she was not allowed to make her character even more unearthly, as children watching were supposed to identify with her. Script Editor Donald Tosh relished being the first to ‘kill off” companions and Jessica Carney, Hartnell’s granddaughter recalled his commitment to and passion for the character. Jeremy Young, who played caveman Kal, confirmed that the fight scenes clearly showed that pre-historic men wore M&S underpants and also reminded William Russell that they had both gone on to woo Rita in Coronation Street. Tributes were also made to Verity Lambert (Producer) and Jacqueline Hill (Barbara). However, I return to Waris Hussein, at the time a very junior director allocated to this new project because the original Director dropped out. Confronted with a script full of characters called Za, Kal, Hur and Horg, grunting at each other in loin cloths in a studio at Lime Grove, he initially despaired, but producer Verity Lambert said that they would ‘make it work’ and here he was, on stage at the BFI 50 years later after an extensive and award-winning career, having co-created a phenomenon. To conclude, it was an incredibly enjoyable and inspiring afternoon. Great credit must go to the BFI and the BBC, both for the concept, but also for sticking to their guns. The demand for tickets for this season is, and will continue to be, phenomenal – as season curator the BFI’s Justin Johnson says, it soon became apparent they could have sold 20,000 tickets and presumably a larger venue and higher prices must have been tempting, but that would have detracted from the intensity and intimacy of yesterday’s event. In February the BFI moves on to the Patrick Troughton era with Tomb of The Cybermen (already sold out) and in March the Third Doctor battles the Master in a re-colourised Mind of Evil. Demand for tickets is so high I am almost loath to provide a link as it will be reducing my chances of getting a ticket. But here you go. The best tenner you will spend this year.